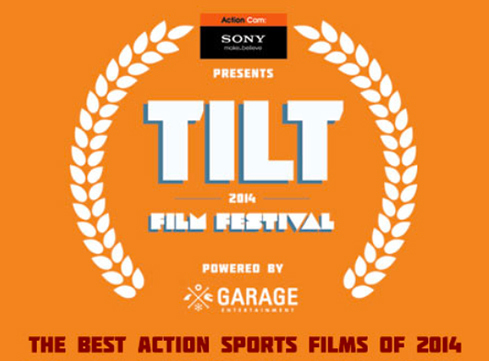 The Tilt Film Festival is returning this year with another roster of unbelievable works guaranteed to get your heart racing, blood pumping and adrenaline flowing. This festival showcases the very best in sports and adventure films and documentaries, entries ranging from motocross, to mountain climbing, surfing, street bikes, karate masters and general adventure and action. Presented by Garage Entertainment, Sony Action Cam and Village/Event Cinemas this display of testosterone is sure to have something for everyone, from the most insane of motocross riders, to the raddest of surfer dudes and dudettes. The motorcycle enthusiasts amongst you should have heard of the 1971 cult smash “On Any Sunday”, depicting the “pursuit of excitement, passion and life in the two-wheeled world of motorcycle riding. Experiences as relatable to a rider as a day with friends, others that explore human triumph and overcoming fear, and some which occur once in a lifetime. One moment of riding a motorcycle – On Any Sunday”. This movie embroidered it’s name into the very fabric of motorcycle riding culture, it’s story so related with society that it was able to go beyond it’s own niche audience, to find fans from all walks of life from around the globe, introducing new people to the world of riding. This year, Academy Award Nominated director Bruce Brown returns with the aid of his son; Dana Brown (“Step Into Liquid” and “Dust to Glory”) to bring us his sequel “On Any Sunday: Next Chapter”. Forty years have past since it’s last installment, and a lot has changed, but a lot more has stayed the same. “To journey deeper into the humanity, thrills and excitement of the global culture of motorcycle riding; those who are bonded by their passion for the race, the love of family and friendship, and on a deeper level – their quest for the thrill of the next ride”. It’s sure to be a must see for riders everywhere. For the Karate masters, the Kungfu prodigies and the MMA Monsters, we have an amazing documentary of the legendary 100 man Kumite – ‘Journey to the 100 Man Fight: The Judd Reid Story’. The film follows the story of Judd as he prepares to take on the ultimate test in the world of Karate, the 100 man Kumite. Fighting continually against one hundred men, one after the other for roughly a minute each, the ultimate test of fight conditioning and endurance of mind and body. It promises to be a moving piece about courage, determination and the strength of the human spirit and should not be missed by anyone who enjoys the sport. Another feature of the festival is the third installment of Jeremy Jones’ trilogy of snowboard adventure films: Higher – The Final Chapter. Known for being the ten-time winner of the Big Mountain Rider of the Year award, Jeremy has revolutionised the sport of Backcountry Snowboarding with his prequels to this film; Deeper and Further, where he explores some of the world’s most remote and extreme mountain ranges, earning him the title of Nation Geographic’s Adventurer of the year – 2013. He also gained recognition for his advocacy work with “Save Our Winters” being named as one of Barack Obama’s Champions of Change last year. In the final installment of the trilogy Jeremy and his team take things to the next level, returning to old playgrounds, as well as making snowboarding history as he takes on the peaks of the Himalayas of Nepal, and the Eastern Alaskan Ranges where the risks and stakes are sky high. The film follows his journey through his career as he prepares to reach the highest of highs in the sport. The Festival begins on the 24th of November and will last until the 30th, hosted in the Noosa Village/Event Cinemas at normal ticket prices. For more information on the event and the rest of the films being showcased check out their website here.